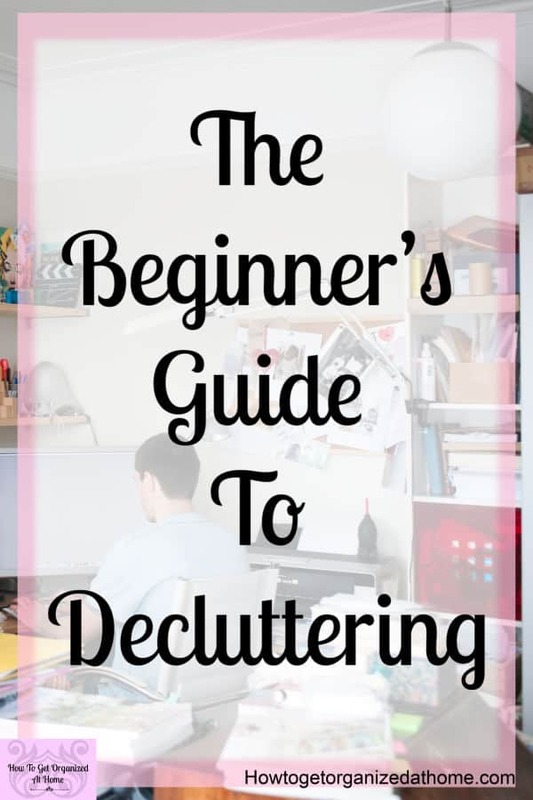 Do you want to declutter your home but just don’t know where to start? Perhaps you’ve heard of the term but are unsure if you have clutter in your home? I think working out what you think clutter is, will help you see your home in a new light and you will quickly identify clutter! Don’t panic, it’s something that you can quickly and easily learn to do! Clutter, what you think is clutter is going to be different to what other people determine is clutter! I think this is why it’s so difficult for many people to understand what the process is because they haven’t grasped the concept of clutter first! 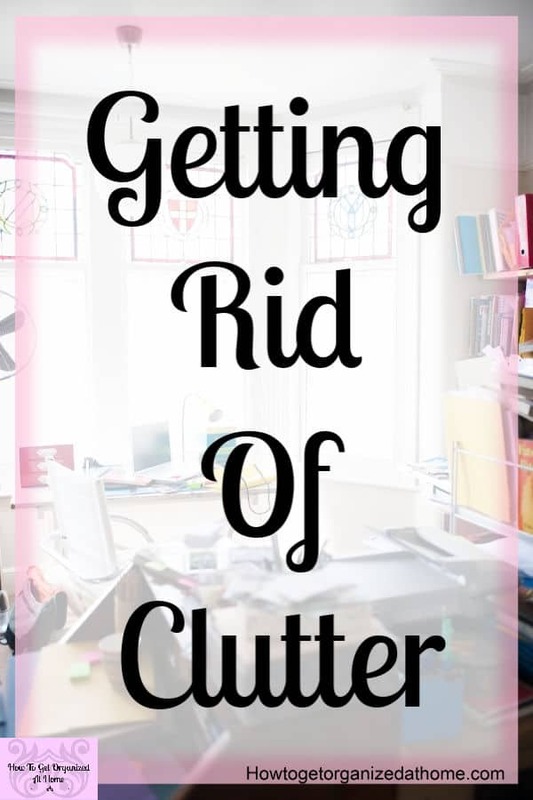 As you can see from this list, what clutter is can depend on so many different factors and what might be clutter to you could be an amazing treasure to someone else! When you start thinking about removing clutter from your home, this process isn’t going to be quick and you must prepare to take enough time to tackle one area at a time, but not think that you are going to manage your entire home in just a few hours! Be prepared for a long process and one that you will need to work on every day or two to keep on top of the problem, so it doesn’t build up again! It’s a good idea to set the timer for just 10 or 15 minutes and see how much you can get done in this short time! Don’t underestimate how emotionally draining decluttering can be, and how much time it can take! Decluttering your home is going to be hard and I like to break any project down into these small timed chunks of time, this helps me to stay focused on the task and not get side-tracked as you go through each item and make a decision! What you need to do first! Depending on the area you are decluttering will depend on the piles that you need to sort it into! 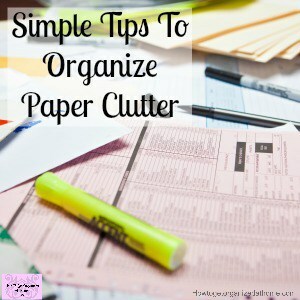 If you are sorting paper clutter, often it has fewer places to go when you are getting rid of it! Shredding or recycling, there is often only very few times when you have to do anything else with paper clutter! But, with other items, you might decide to sell the item or donate it to a charity. This is why it’s important to have a plan! If you are planning to sell items, always have a time frame for the items to be listed and when you are just going to donate rather than sell! If something doesn’t sell, it could be time to let it go, if it’s sitting in your home it’s creating clutter that you don’t need! 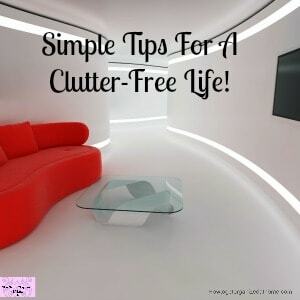 Clutter free is a choice, it’s about making those choices every day! 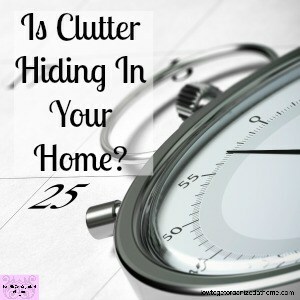 You have to make the time to look at your home and ensure that you are not letting clutter build! Living in a clutter free home means that you spend less time maintaining it because cleaning will be easier with fewer items to clean! Clutter will try and sneak in, it will try to hide in plain sight, so you will need time in your week to tackle the clutter! Have rules for when you buy new items that you have to remove something that you already own! It’s a really effective way of checking what you are buying with what you already have in your home! 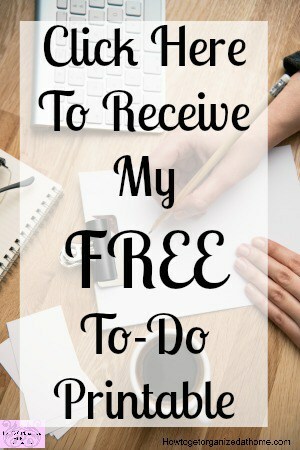 There are so many people focused on decluttering and often it assumes that you know what to do! However, when it comes to clutter it’s about your own perception of clutter and what you want in your home that matters! Yes, you will need to create piles of items as you sort through them, this helps to put things into categories but moving forward from this is often the most difficult! You have to assign homes for the items you are keeping, without a home, a place to call their own, they will quickly become out of place and even start to cause problems, making an area look cluttered when in truth it just needs tidying up! When finding a new home for an item in your home a great way to save its space is to create a label for the space so you know what belongs there! I love this label maker! Having simple boxes that you can organize into saves you having to sort and organize everything in one go! I like these boxes for organizing! Are you looking for more information on decluttering Marie Kondo style? Grab her book here to get you inspired! The simplest way to start organizing your home is to pick just one area and start there! Don’t take everything out, unless you are trying to do a Marie Kondo style decluttering. This is where you gather every item in a category and go through every single thing in one sitting! I think this is so overwhelming that I don’t recommend it! I prefer a smaller approach, it might take longer, but it is more easily broken down into more manageable chunks of time! I tend to say 15 to 20 minutes is a good time frame for decluttering if you have never done this before! It’s surprising how emotionally draining it can be decluttering! You are going through every single item that you own, and you have to make a decision about what you intend to do with it! But, part of the process of decluttering is getting those items out of the house as quickly as possible, so if you are intending to sell items get them listed and sold! If you are taking things to the charity shop, get them there as soon as you possibly can! When you are considering tossing an item, ensure that if you can recycle it you take the steps to get it out of your home, don’t let it sit there adding to the clutter in your home! What you don’t need is a lot of distraction, it’s going to be an emotional time and doing this whilst doing other things is not an ideal approach! You have to make choices on what to get rid of and this is a difficult process to do whilst trying to do other things too! Thinking about what you need to declutter is really just time, you can have the bins to sort items into that are labeled. But in reality, you don’t need anything to get started! What you will find is the need for finding the appropriate home for when you have finished the decluttering process! This doesn’t mean that you need to rush out and buy more storage, what it means is taking the time to find storage with what you have got already! Organizing your items doesn’t mean adding to them by buying more storage that will just add to the problem! Decluttering is a process that once you start, you will have to schedule time regularly to keep on top of any clutter that comes into your home! It’s not a once and done process! Some simple tips and ideas to help you declutter and stay on top of the clutter coming into your home! When you are thinking about decluttering your home have a plan in place with the items that you want to get rid of! If you intend to sell items, don’t let them sit there for months on end, get them listed and get them sold! If you have items to take to the charity shop get them out of your home as soon as possible, you don’t want to start second-guessing your decision! Take your time, this process isn’t quick, and you need to deal with the emotional stress that it can uncover! Give yourself grace, it will stir up emotions and you don’t want to have a mess that you just can’t deal with! This is from getting too much out and hoping that it’s going to be a quick process! Yes, things will look disorganized when you start but remember it will be better when it’s finished!